Although I think it will be difficult to pick out the winners when it comes to new gTLDs, I do believe there are going to be some domain names that have aftermarket value. Because I initially said I wouldn’t buy any gTLD domain names, I felt it was appropriate to re-address my public position and share that I am planning to gamble on some hand registered / pre-reserved gTLD domain names. I’ve got my plan, and will execute it in my own way, with a fixed amount to invest and with an actual strategy to support my buying approach. 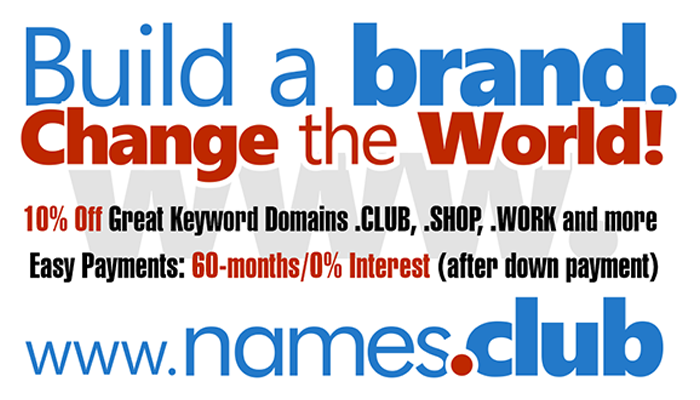 Invest in TLDs I think will succeed. How much will Domainers and Defensive Registrations matter for new TLD operators? Unfortunately for registries, domainers won’t chip in as much this time. But if a registry’s business plan has a high number of registrations involved, they better start courting domain investors and promote their sunrise. Judging by comments I’ve read on my blog and elsewhere, I believe there are many people who are hoping the new gTLD domain names will usher in another “gold rush” in the domain name space, and there will be many great new opportunities to hand register valuable domain names. Sadly, for the most part, I don’t think this is going to happen, despite the fact that I do think we will eventually see some new extensions take off quite successfully.